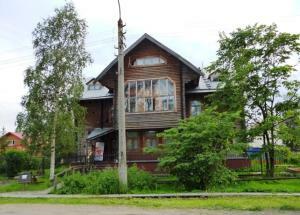 A-HOTEL.com - Luxury and cheap accommodation in Rikasikha, Russia. Prices and hotel, apartment booking in Rikasikha and surrounding. Boasting river views, Apartments on Lenin square is set in Arkhangelsk, 2.8 km from Trud Stadium. Apartment on Voskresenskaya 9 offers accommodation in Arkhangelsk, 3.2 km from Trud Stadium. Set in Arkhangelsk, Hostel Feel Good is 3.2 km from Trud Stadium. Located in Arkhangelsk, 4.3 km from Trud Stadium, Mansarda features accommodation with free WiFi and barbecue facilities. Sadovaya 2 Bedroom Apartment is a property located in Arkhangelsk near Trud Stadium. This apartment offers accommodation with free WiFi.